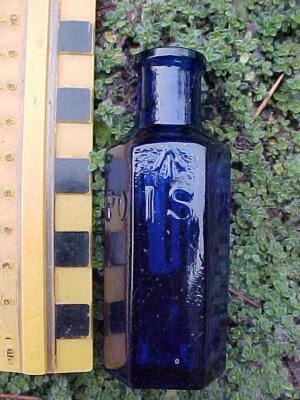 There were a wide range of bottle types used by the British Military. 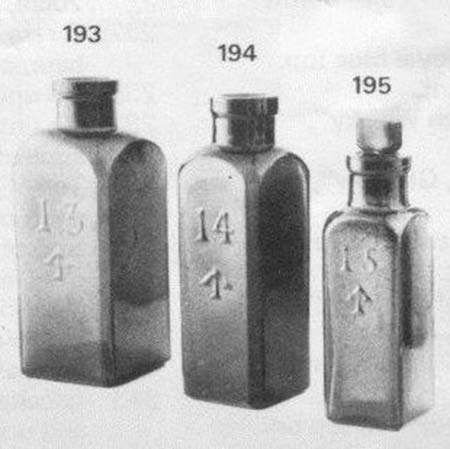 This page details many of the different poison bottles that were used. 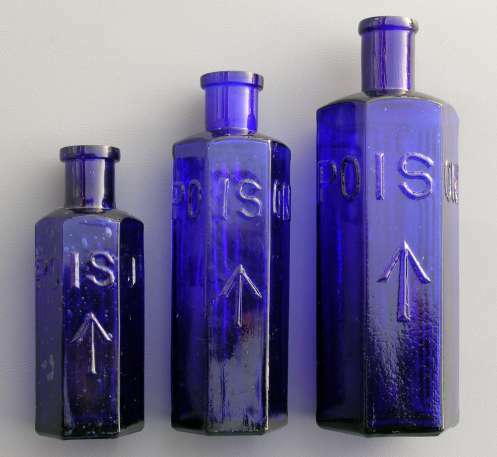 By the mid nineteenth century public concern over accidental and non-accidental poisonings had reached the point where the British government was taking action. In 1863 “A Bill for the Prevention of Accidental Poisoning” was introduced to the house. 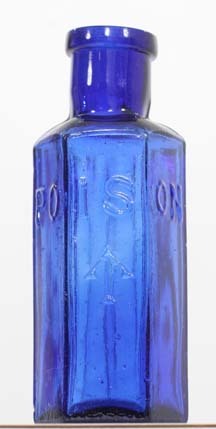 The bill called for all poisons to be stored in special hexagonal bottles prominently labeled poison along with directions for use. 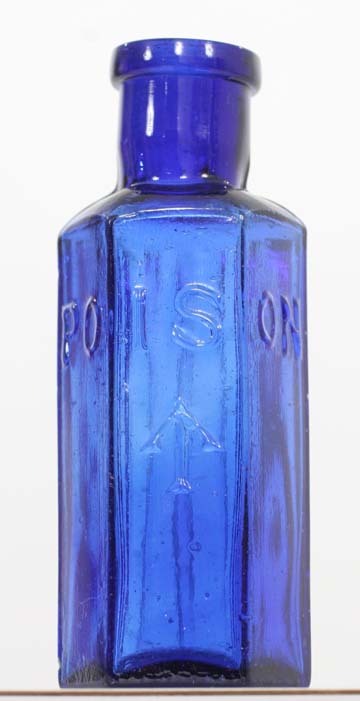 Although the bill did not pass, many companies around the world adopted special bottles for poisons. The two main colours adopted were cobalt blue and an emerald green. 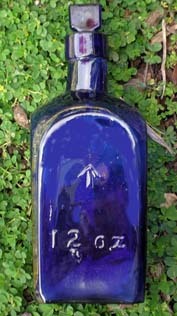 The bottles also had distinctive shapes often with raised ribs or other designs and raised letters with the word poison. Two factors were at play, first, many people were illiterate so the colour would be associated with poison, second, in dim light the bottles would have a distinctive feel. 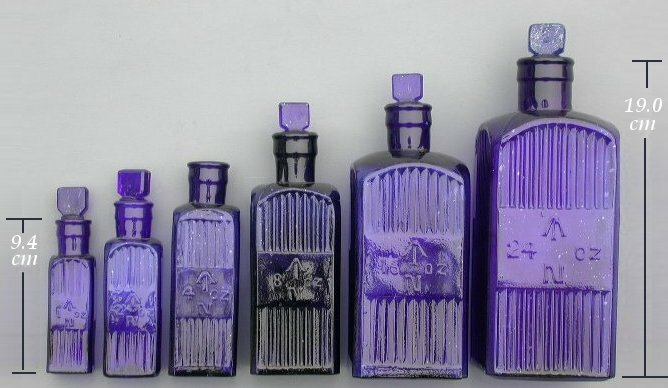 Because of the attractive colour and unique designs Victorian poison bottles are particularly favoured by collectors. These are found in a variety of sizes, mostly in dark cobalt blue and to a lesser extent emerald green. 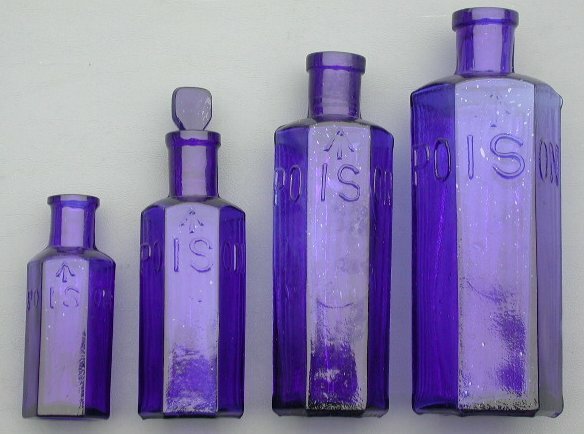 This was a photo provided by Geoff Clarke of New Zealand showing three different numbered bottles in this series. 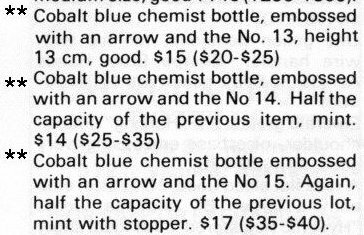 These appeared in a New Zealand bottle auction list a few years ago with the description copied below. It becomes clear that the number on many of these bottles likely refers to contents instead of volume. This style likely predates the ribbed versions bearing the words poison. Base 3.3 cm. (widest point) Height 8.8 cm. The bottle on the left was found in New Zealand . It wasn’t until the two bottles were side by side that I realized the two were from distinctly different moulds (the one on the left with a shorter neck and sharper shoulder). 22.86 cm x 7.62 cm. Photos kindly provided by Vernon Erwin. 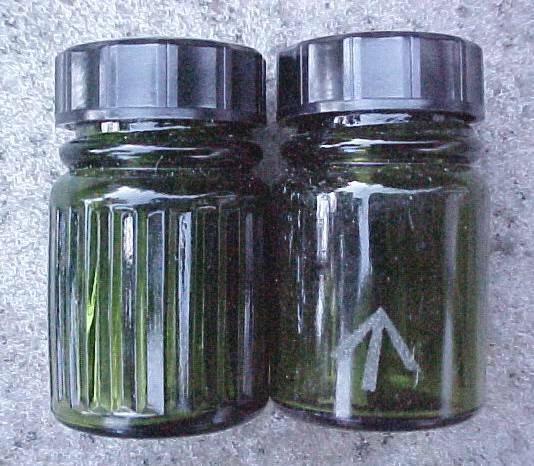 green used for Victorian poisons. 2007 No dimensions or provenience were provided. 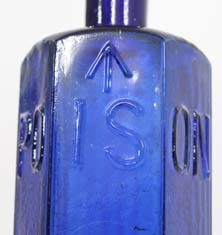 Very small cobalt blue hexagonal poison with a "Footed" arrow below the word POISON. 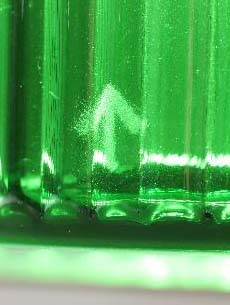 Machine made acid etched green hexagonal poison with 3 ribbed panels. 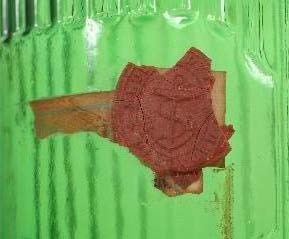 This bottle was originally found in Cyprus. 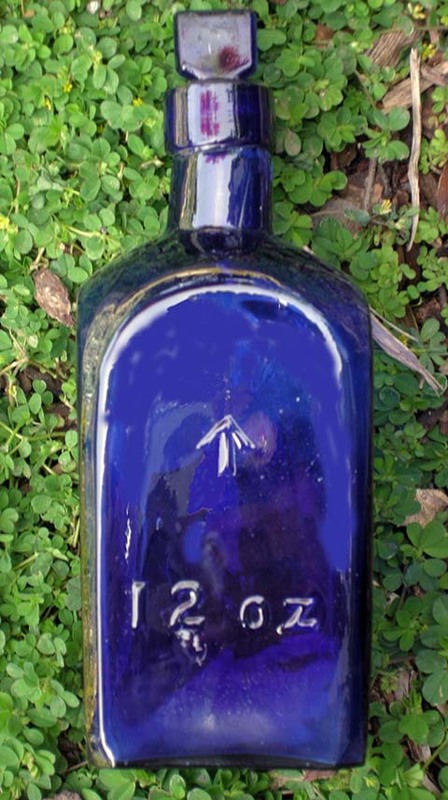 These bottles have also been found in blue and probably date sometime between the first and second war. 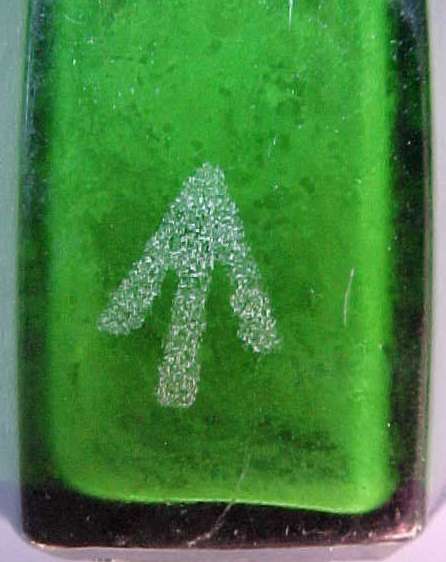 Base 2.8 cm. (widest point) Height: 8.0 cm. Machine made acid etched green round poison with one half ribbed and a black screw cap. On base a 1 above a 2 and a maker's mark. 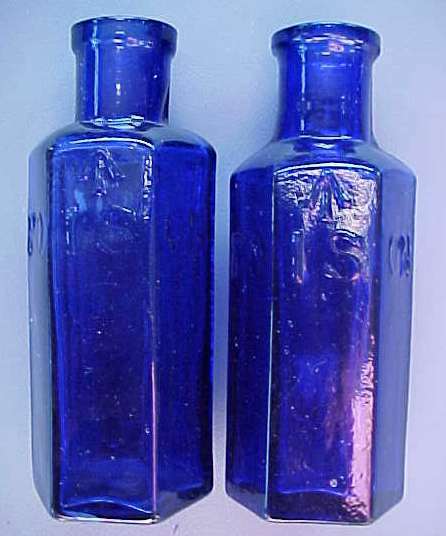 These bottles were part of a military surplus sale in London just after the second war. I have a few extra examples of these bottles. 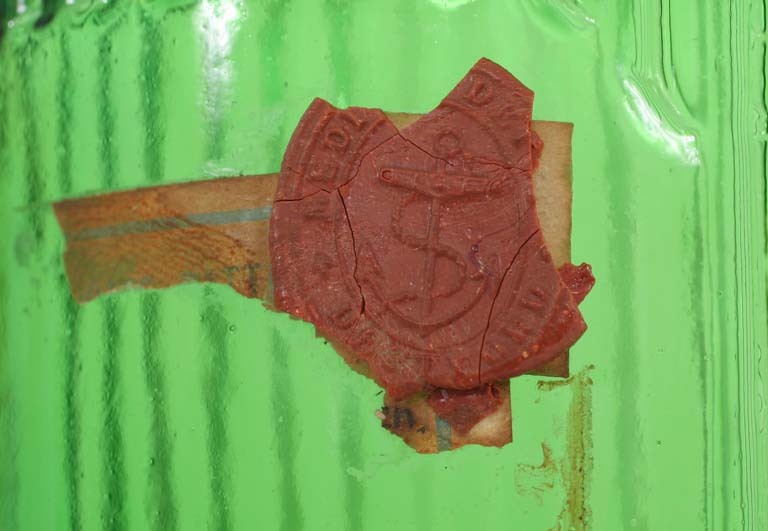 Large round green ribbed poison bottle with stopper and a "Medical Depot-Deptford" wax seal, plus a small acid etched arrow on the lower back. Height: 22.86 cm. Base 10.16 cm. 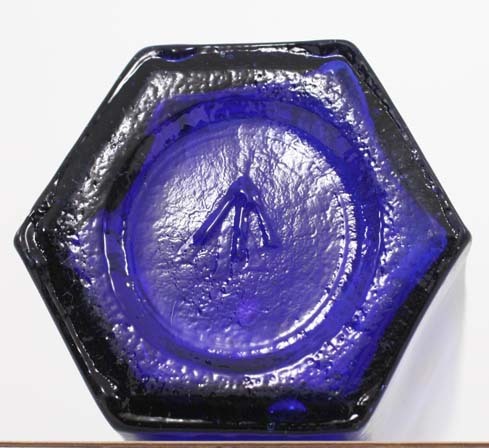 An unusual cobalt blue hexagonal 'Not To Be Taken' poison with the arrow embossed on the base. Click on each picture to see larger images. This site created by Tom Bown and maintained by Linda Bown. Email us with comments. IMPORTANT NOTICE: The images presented at this online gallery are copyright-protected © worldwide by Tom Bown. Any downloading, copying, distributing or other unauthorized use without prior written consent of the copyright holder is strictly forbidden.